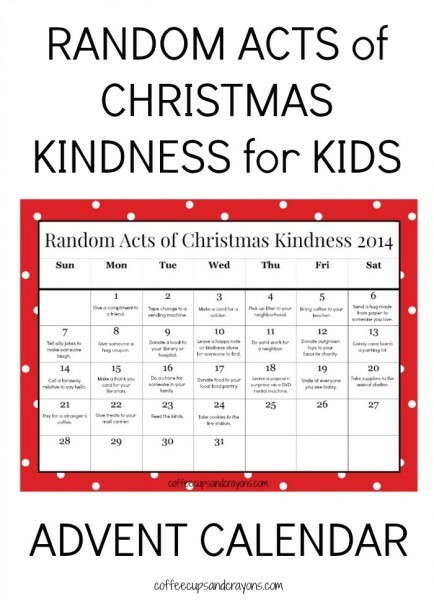 Our family has decided to try something new this year and do a Random Acts of Christmas Kindness Advent calendar! We really enjoyed participating with Moms Fighting Hunger this fall and I thought this would be a fun way to bring the spirit of giving to the Christmas season. Want to use this RACK’d card too? Keep reading to see how to print it at home! 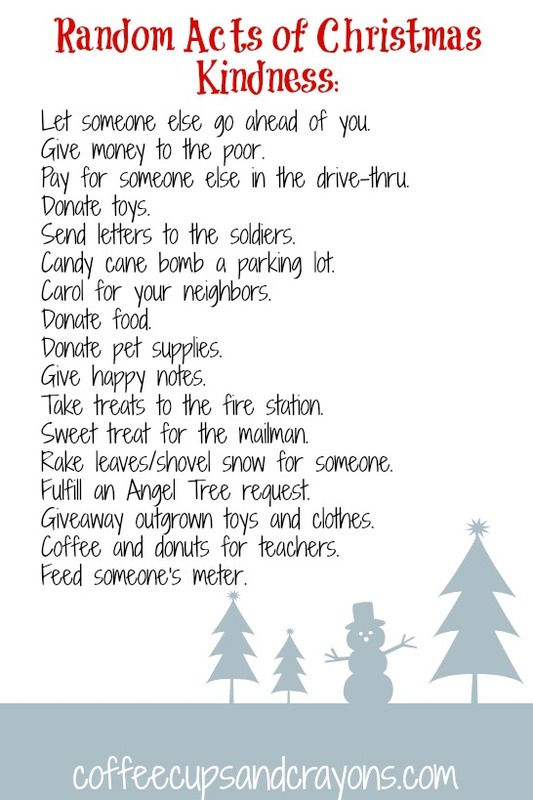 We made a list of ideas for Random Acts of Christmas Kindness, but decided to keep it simple and not do a calendar. This time of year is crazy and I wanted to make sure this project didn’t become a burden. We also didn’t choose 24 activities right away so we can tailor our RACKs to the things we encounter this month. Today is Day 3 and we have been having a blast! On Day 1 we gave up our prime spot at the taping of the ABC Christmas Day parade at Walt Disney World to a father who had a daughter in the parade, on Day 2 we donated money to the poor through our church, and today we paid for coffee in the car behind us at Starbucks. 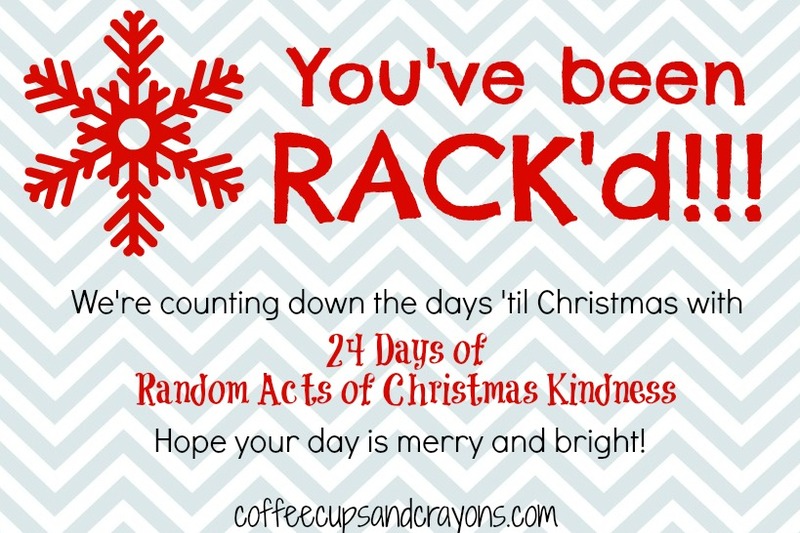 I made a free Random Acts of Christmas Kindness printable that we hand out with each act of kindness. You can use it too for any RACKs you do this month. Print on 4×6 inch photo paper–you can even have multiple copies made at Walgreens or an online photo site! In addition to the list above we have also decided to try and visit a nursing home with some goodies, donate to our local Ronald McDonald House, and tell Nurturestore’s Christmas jokes to our friends. But we’ll still have room for more! What fun kindness ideas do you have for us? If having things all planned out is your thing be sure to download our free printable Random Acts of Christmas Kindness Advent Calendar! Thanks Lorie! It has been lots of fun so far!!! Awww! Thanks! I’m glad you like the card! What a great idea!! Thanks for sharing. You are so creative!! Thanks! We have been having lots of fun with it! Hope the jokes give you some giggles! Ahhh I love the candy cane bomb idea!! Brilliant! Will have to add that to our list next year! I love your reindeer candy canes! We are totally trying those! And we are super excited to do it. At first the kids wanted to walk around Target and throw candy canes in people’s carts and I thought it would be fun to wrap a neighbor’s mailbox post in yarn with candy cane stripes…candy cane bombing is what we agreed on! Right click on the picture and then save it to your computer. Let me know if you have trouble! Can I use the Random Acts of Christmas Kindness 2016 for my Sunday School. I’d like to make copies for the 20 students. Yep! That would definitely fall under classroom use. Merry Christmas!